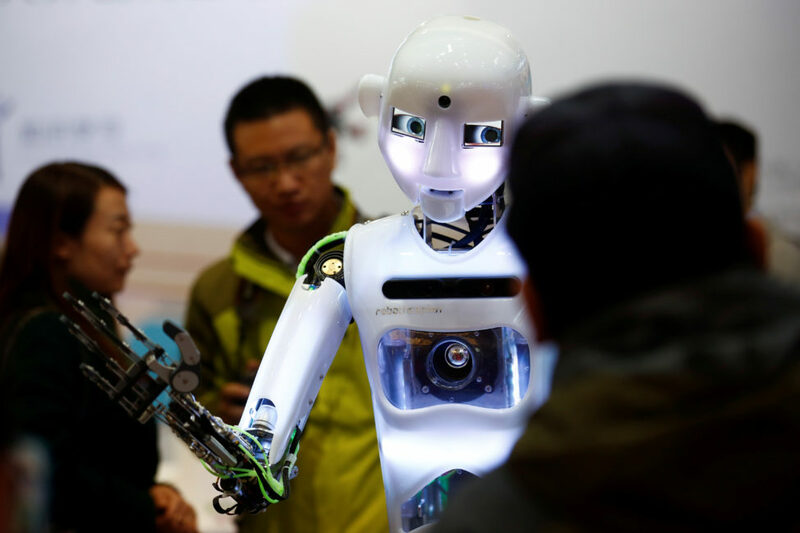 FILE: People look at a RoboThespian humanoid robot at the Tami Intelligence Technology stall at the WRC 2016 World Robot Conference in Beijing, China, Oct. 21, 2016. Should Robots Be Treated Like Pets or People? This Saturday, Facebook turns 13. The social media giant now boasts more than 1.86 billion monthly active users. To celebrate, Facebook reintroduced personalized videos and Messenger GIFs. CEO Mark Zuckerberg said Facebook will now focus on bringing groups and communities – and strangers – together through shared interests. The CEOs of some of India’s largest IT and outsourcing firms are planning a trip to Washington on February 20 to appeal President Donald Trump’s impending changes to the U.S. immigration visa program. India’s technology sector provides some of the largest companies in Silicon Valley with skilled, low-cost labor. The CEOs plan to meet with U.S. lawmakers and administration officials to try and dissuade them from tightening visa restrictions. The 90-day entry ban affects seven countries – Iran, Iraq, Syria, Sudan, Yemen, Libya and Somalia.